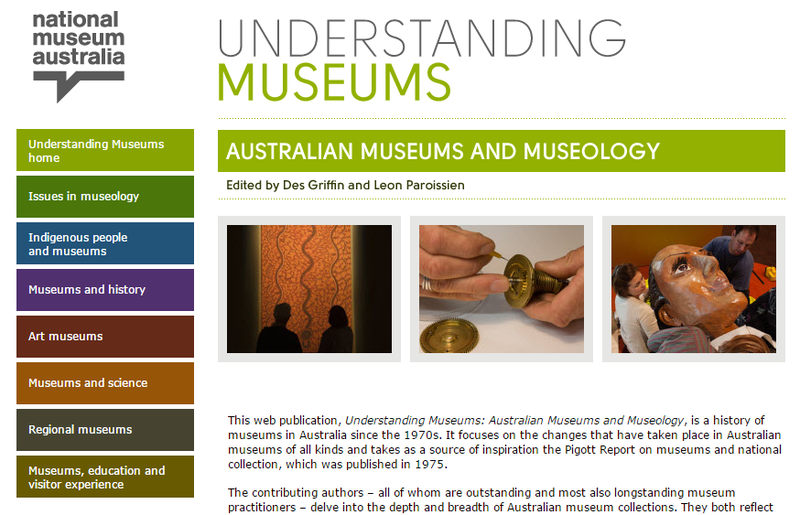 Published online at the National Museum Australia, Understanding Museums: Australian Museums and Museology, is a history of museums in Australia since the 1970s. It focuses on the changes that have taken place in Australian museums of all kinds and takes as a source of inspiration the Pigott Report on museums and national collection, which was published in 1975. It contains chapters on issues in museology, regional museums and galleries, Indigenous people and museums, art museums, science museums, and museums and history. The contributing authors are all longstanding museum practitioners – delve into the depth and breadth of Australian museum collections. They both reflect and reflect on an increasingly vital museum community, one that responds to Australia’s rapidly changing society, engages in important debates and contributes to lifelong learning.